deal | Sophisticated Diva ~ A.K.A. Along came Polly! Miche Throwback Thursday deal of the day!! Throwback Thursday deal of the day!! The rich dark chocolate faux leather is only the first style trick the Selena Petite Shell has up her sleeve. Check out her vibrant magenta chevron detail on the front, cooled by a surprising touch of silver striping. Contrasting magenta stitching and end pockets bring the look together. Selena is a sophisticated, yet sporty Petite—what a winning combination! The Miche petite is fabulous to take to a picnic, to the flea market–quick trips to the store when you want to lighten your load for the afternoon! They make wonderful holiday gifts—make sure to grab a few extra for those teens and “tweens” on your Christmas list! CLICK HERE to order! The beautiful Ryann Shell for Prima Bags conjures up images of white sand beaches, Caribbean waters, warm tropical breezes and brilliant sunshine. Bright turquoise faux leather is punctuated with two zippered front pockets, white detailing and rivet accents. Fun zipper pulls are ideal for decorating with one of our Charmers. Don’t forget to grab an extra for Christmas gift giving! Yes, it’s that time again!! With much excitement for those that carry the classic Miche, I’d like to share with you “Alina”. This shell was an active shell 4 years ago, and retired quite a while back—-Alina is still a very sought after retired Miche shell~~ Smile, because she’s back today through 10pm MT, ONLY while supplies last— 50% off!! If you’ve missed out on the NEW releases, check them out now!! CLICK HERE to shop the new releases….there’s also Miche jewelry, new on the site!! There’s a separate section with the new jewelry, just choose from the menu on the left side of the screen on my website! 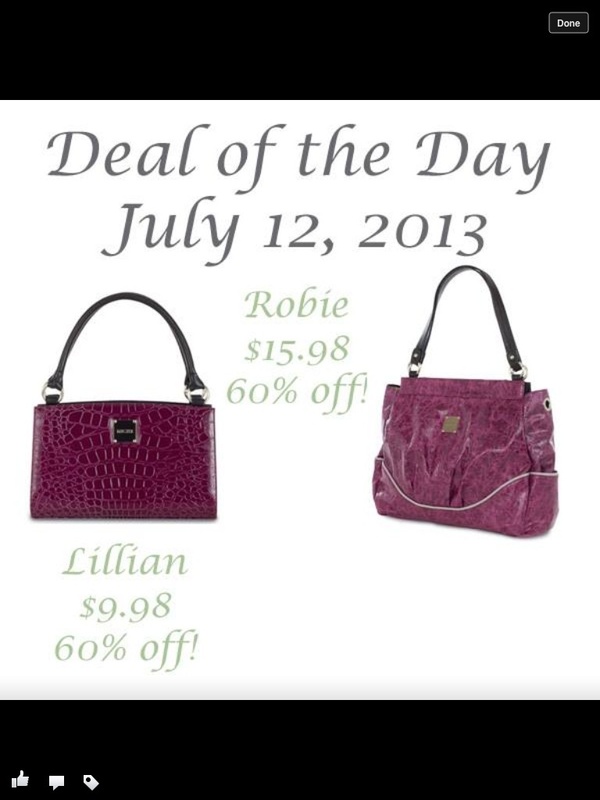 Miche deal of the day!!! ‎Christmas in July! CLICK HERE to order! #Miche throwback Thursday ~ Allie Miche prima shell ~ 50% off today only!! Miche ALLIE Prima shell is our throwback Thursday shell!! 50% off, priced at $22.48 ~~ You can’t go wrong!! CLICK HERE to go directly to my website! The color of summer sunflowers combined with the sweetness of butterscotch—all tied together with classic black studded detailing. The Allie Shell for Prima Bags is a perfect addition to your accessories wardrobe that will take you through virtually all seasons in style. Floral imprint yellow patent faux leather will bring sunshine to your heart whenever you need it even on the cloudiest days! If you’re dying for one of the June releases, Americana, Debbie, Pipper, Pippa, act now!! Some of these shells are on the CRITICAL INVENTORY list, meaning 24-48 hour sellout is possible! Don’t miss your chance!! CLICK HERE to see the remaining shells!